When I was in high school, I was a goody goody. I got in trouble once. I left school for about 30 minutes one day to go get fast food for myself and a friend while we were manning the school radio station. Literally every other student in the class had done this to my knowledge. But someone found out, and told the entire school- including my teacher. No one in that class talked to me for several days- including people I had considered very good friends. Nearly every teacher I knew pulled me aside to talk about it. A girl who was next in line for Jr. Marshall pushed for my suspension so I would get kicked out and she could take my place instead. The assistant principal basically ignored my friend when we were called to the office but spent 10-15 minutes talking about how I should have known better, I risked my educational future, and basically just screwed my entire life up over a hamburger. The only person who actually treated me fairly was the teacher whose class I skipped. She was very upset the first day- rightfuly so. But after seeing the big deal everyone else was making, she pulled me aside. She told me it was a mistake, but that was it. My grades were excellent, I was polite and responsible, I apologized, and I was clearly upset (I don’t think I ate for two days). She pointed out all the other students who had been caught doing the exact same thing and were never even threatened with suspension. She outlined the justifiable punishment and assured me that it wouldn’t change my class ranking or negate any honors I had earned. Other people did this probably every week and no one seemed to notice. But there was something about this invisible standard I had apparently adhered to for so long that made people want me to shatter instantly during that fall from grace. I think it’s the same way with Christianity. People both inside and outside the faith think anything or anyone stamped Christian needs to be perfect. Maybe we can let something like worry or gluttony slide by but nothing worse than that (since apparently people are good at ranking sin). Anything more than that and you are just a false prophet (to Christians) or hypocrite (to non-believers). Let me just say this- Christians are not Christ. 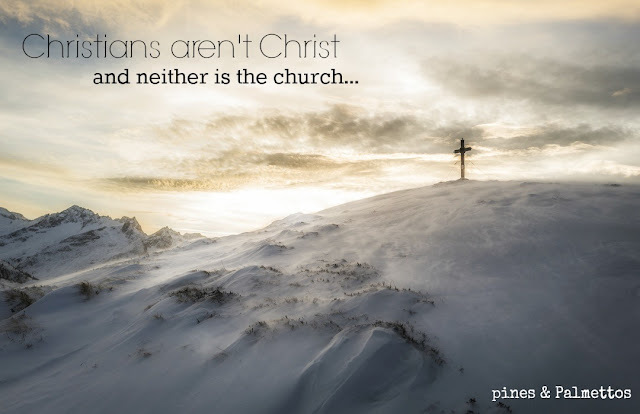 The church is not Christ. He is the only one that should be considered blameless. He is, ultimately, the only thing we should look to for an example. I believe in community. I believe in friendships. I am so, so, so thankful for my church and my small group. But I do not worship them. 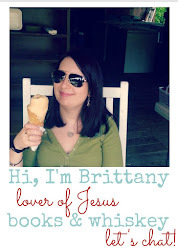 I do not hold them to be perfect, I do not think my pastor is perfect. He has confessed to having past struggles, but I fully believe that he is still having current struggles also. And that’s fine. Because so do I. So do you. I believe in trying to be like Christ. I believe in trying to spread the gospel. I believe that as Christians we should have a desire to be like Christ because we love Him, want to please Him, and to hopefully show others how wonderful He is. But we are not perfect. We are trying to live up to something that we are fundamentally incapable of doing. So why are we so surprised when we monumentally fail? Why is everyone so damn shocked when a Christian sins? Seriously. WHY? The fact that I believe in a perfect God doesn’t make me perfect. It makes me want to try, but it doesn’t make it happen ALL the time. Doing something wrong doesn’t mean someone isn’t a Christian, even if it happens multiple times. A fallible Christian does not negate an infallible savior. It just means that people are inherently flawed. It’s what we do about those flaws and how we respond to them that gives us the opportunity to truly showcase our faith.